I started by cutting a mask from some scrap paper. I used some repositionable tape to hold it in place on my cream card base. 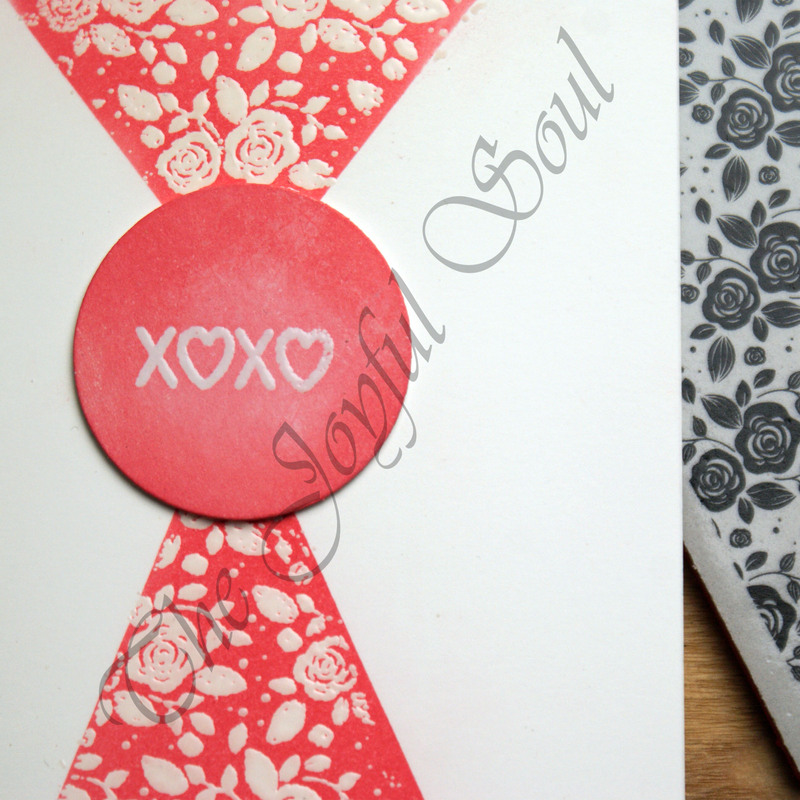 I then stamped onto the card base with Simon Says Stamp’s Modern Rose Blooms background stamp and heat embossed with clear embossing powder. Masks can prevent the stamping from reaching right to the edge of the open area due to the slight depth difference, and that’s what happened in this case. I decided to remove the paper mask and remask closer to the lines where the embossing ended, using more repositionable tape for this. Next I ink blended over my embossed area. I used Festive Berries Distress Oxide. I haven’t had this pad for long, so much blending foam was new. I made sure to ink the foam very well prior to starting, and didn’t have any trouble with the ink blending. Once I was happy with the coverage I buffed the excess ink off of the heat embossing with a dry cloth. For my sentiment I die cut a circle from a snippet of white, and again clear heat embossed it. I ink blended the circle with the same Festive Berries ink, then adhered it to my card base popped up on foam tape. I’m quite pleased with this card. It’s a fun layout and I think the final design is very pretty. It works well as a Valentine’s card but with the generic love themed sentiment it could work for a number of other occasions too. One minor gripe I have with the card is that I used a cream card base but a white circle for my sentiment, so the clear heat embossed areas do not give the same colour as a result. Next time I would possibly embossing in white instead. Thank you Kathy 😊 Your card that inspired the sketch is lovely! Beautiful stamping, makes a lovely card! 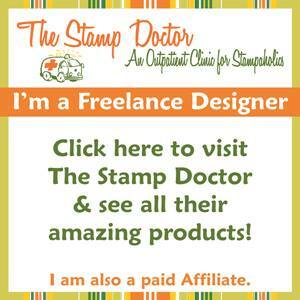 Thanks for sharing with us at Stamping Sensations this month.